Brexit. Brexit. Brexit. This is the major topic or seemingly the only topic on everyone’s lips right now. Last week was a big week for the advancement towards Brexit as the original due date deadline approaches. Theresa May suffered a big defeat… again, and a vote on deal or no deal took place ruling out the possibility of a no deal Brexit, for now. A vote for an extension of article 50 was also carried out, however, that too is not as straightforward as one might think. Every day, it seems like it’s headed into a new direction and so much is coming up to the surface, however, somehow, it’s almost as if things are getting less clear. Politicians obviously have no clue what they are doing or what the next move is, leaving residents to be more confused than ever, and while May’s deal was rejected, no other ideas or solutions are being proposed yet. Of course, the decision to stay or leave the EU was and remains a very controversial one generating disagreements and debates all over the country, the European Union and all around the world. In the midst of all the chaos and all the noise, it is really easy to lose sight of the entities Brexit is bound to affect. Businesses, hospitals, EU nationals in the UK and vice versa – a lot will change regardless of the outcome. 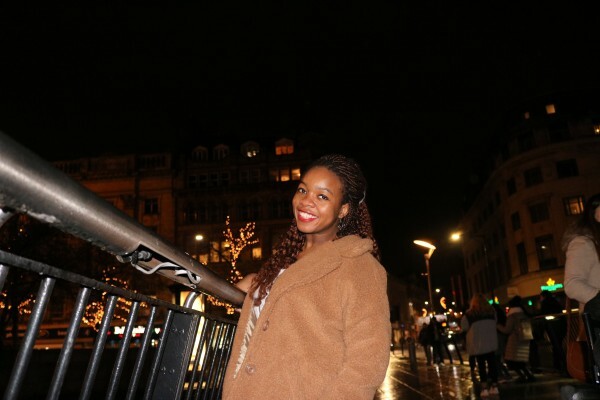 Truth is, as much as I don’t want to talk, think or write about it, it is impossible for me not to do so: Brexit is the next step in politics, but it is also the next step in my life and in the life of over 135,000 EU students in the country. It’s only a few months left till graduation and I find myself not only planning what job or sector I would like to work in, but also which country will be my place of residence. Will I go back to Italy or remain here? All the information regarding the different possibilities in the aftermath is mixed up and for many, it is difficult to plan the next few years due to how uncertain everything is in the political sphere. Some say applying for a ‘settled status’ permit in order to continue living here till 2021 is the solution, while others fear after the Brexit deadline things are likely to change regardless. Some even argue that Brexit will not happen at all and while I’d love to believe that, truth is, I am on high alert and keeping up has become so necessary it could pass as a hobby. So what exactly does Brexit mean for EU students right now? A harder application process to universities? Higher tuition fees for EU nationals? Uncertainty regarding status? 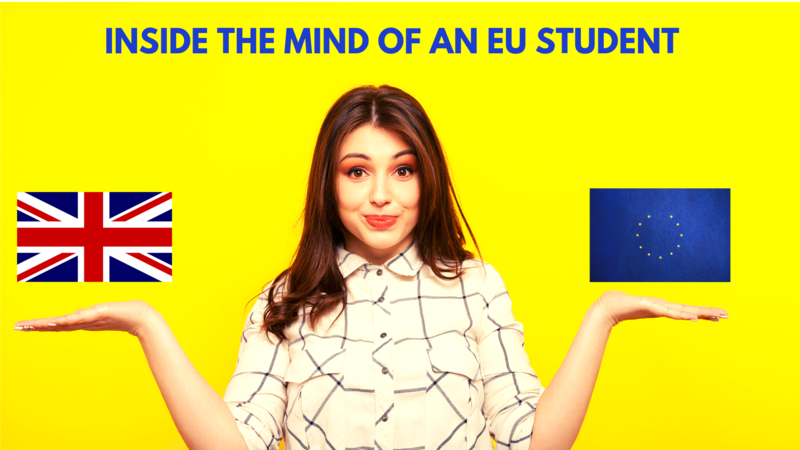 It all depends on whether a reciprocal deal can be reached which will determine if students in Holland will carry on not paying tuition fees and whether EU students will continue to seek higher education in the UK. Many academics, as well as EU staff in universities, are now contemplating staying or leaving and it is inevitable to wonder if EU students will be as keen on studying in British universities if things were to get more complicated. To better explain this, if, in the long run, EU students were to be considered international students after Brexit this would mean higher tuition fees. In many European countries, university tuition fees are much lower than they are in the UK, for example, in a public university in Italy tuition fees may round up to about two thousand euros; often a lot less. Also, tuition fees are usually set according to a family’s income. I feel that if Brexit were to become more complicated and the application process into British universities more demanding, it might turn off a lot of students from considering studying here as it might be more convenient for them to live in their countries and have lower expenses. This could cause great loss to UK universities and might negatively impact exchange programmes. As it seems like the government is taking measures to boost the number of overseas students in the country after Brexit, by giving visa extensions of up to a year, all there is left for EU students to do now is weigh our options in hopes that politicians will find a solution that could lead to a positive outcome for all parties.